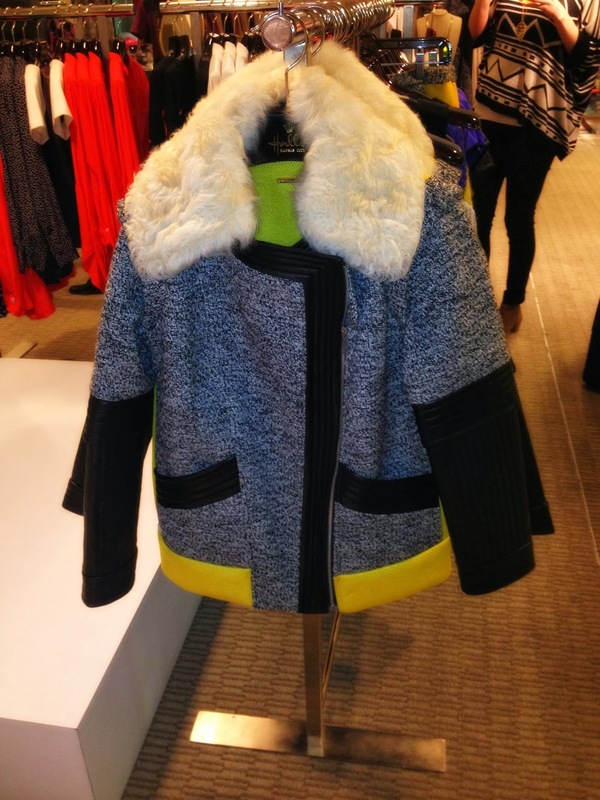 Last week was one of those amazing times in Kansas City to be a fashion lover! 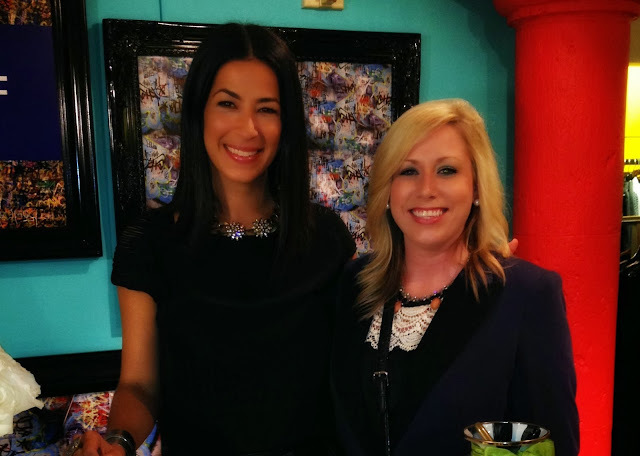 Kansas City Fashion Week kicked off on Thursday night and Halls on the Country Club Plaza welcomed NY designer Rebecca Minkoff for an in store meet and greet all on the same day! As you can imagine, I was on cloud nine! 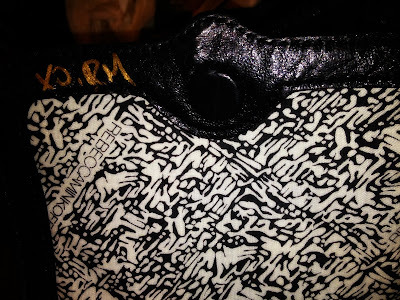 Not only that -- but lucky me just happened to win a beautiful Rebecca Minkoff bag from Tulip Boutique on Monday right before she came to town! ECSTATIC does not even begin to describe how excited I was when I saw that I had won! 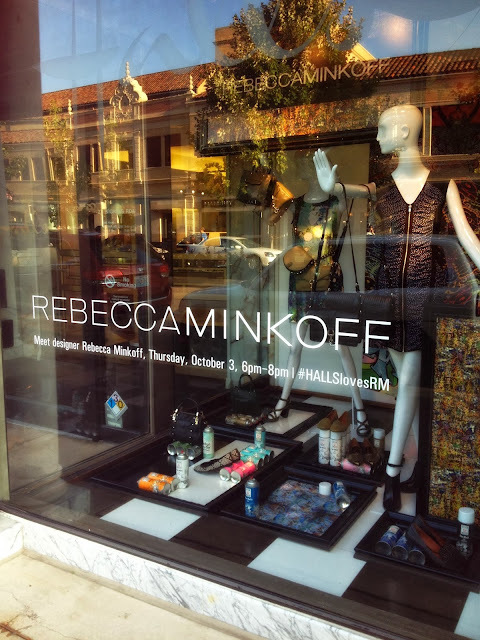 The storefront windows at Halls were decked out in Rebecca Minkoff merchandise and artwork! I fell in love with these window displays when I saw them! 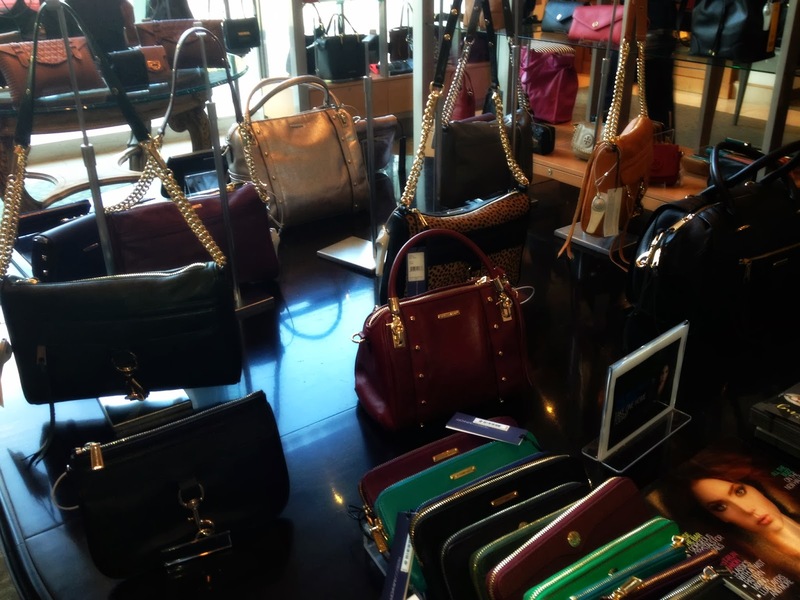 Bags and Wallets on display in the store. 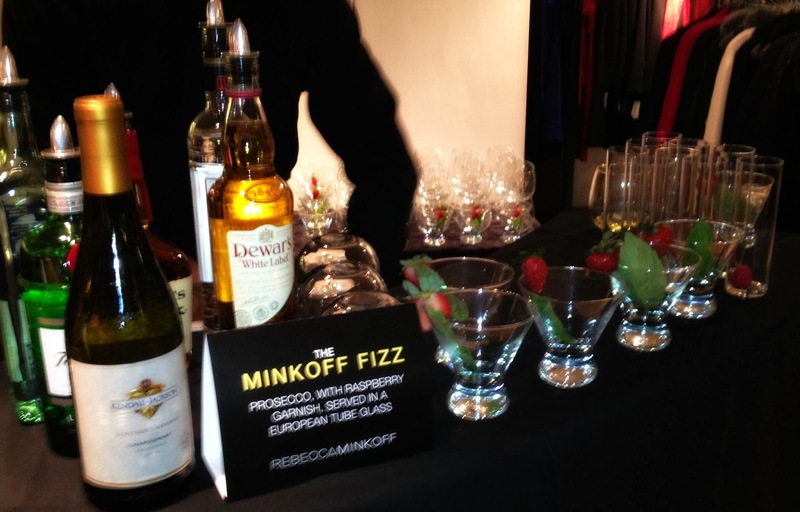 There were some really fabulous merchandise to choose from during the event! 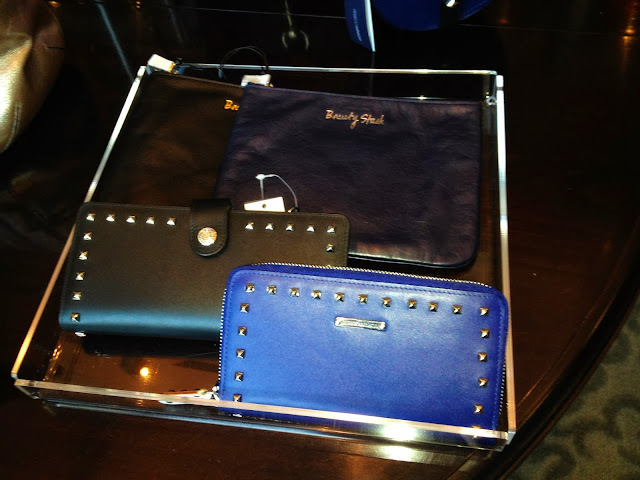 Studded wallets and sassy coin purses that read "Beauty Stash" and "Cash Money"
This beautiful artwork on the "Graffiti Wall" by Kansas City jewelry designer and artist Jennifer Janesko. Check out her website for some gorgeous jewelry, or you can shop her collections at Halls. Rebecca was such a down to earth and sweet person! I enjoyed chatting with her and was really impressed by her warmth and genuine personality while talking to me. The "Minkoff Fizz" was a cute champagne drink with a raspberry! So cute and festive! The appetizers were also delicious. Halls always has the best shopping parties and snacks. 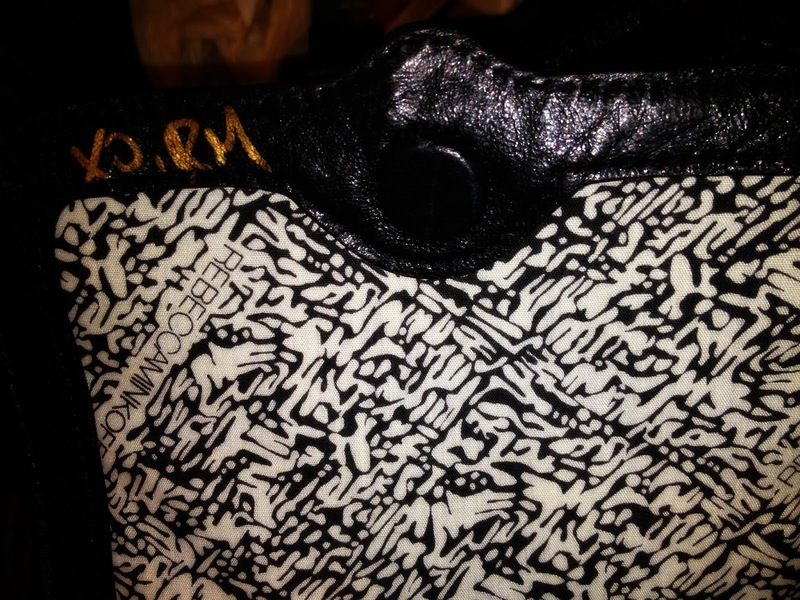 My new bag signed "XO, RM"
I thought the Graffiti Wall was such an awesome addition to the party! I enjoyed reading what other people wrote and loved that it was a part of the beautiful artwork that Jennifer painted! Thank You Halls for bringing another amazing designer to Kansas City! Watch Rebecca's interview with Kansas City Live below! Excellent Post! You are a lucky gal!! But you're sweet, too, so it's well deserved! !